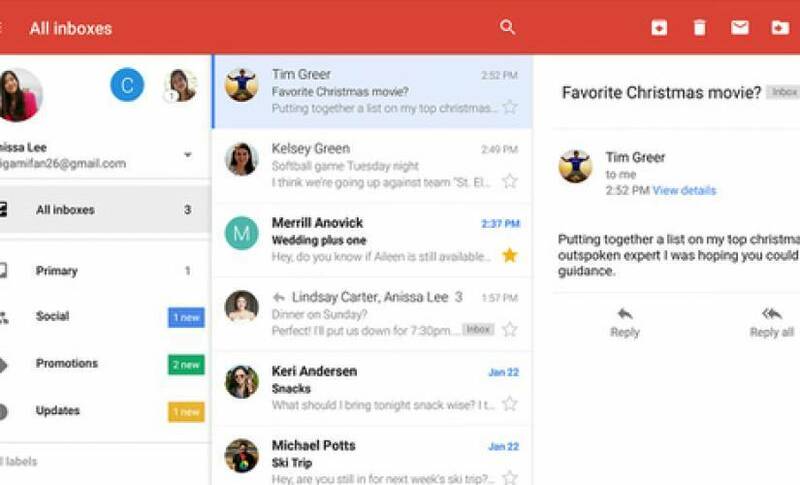 Gmail is one of the most popular email platforms in the world, and for good reason; it’s easy to organize, it’s free to open an account, and it comes with significant technical support (though you probably won’t need it). It works quickly, and on most of your devices, so you can spend less time emailing and more time being productive. But here’s the thing—most of us waste significant time on email, taking too long writing or reading, misplacing or poorly organizing our messages, or starting conversations that don’t need to be started. In the 6.3 hours a day we spend checking email, at least some of those hours are wasted. EmailAnalytics syncs with your Gmail or G Suite account to collect information on how many emails you send and receive over a given timeframe, your average response times (as well as the average response times of people who send you emails), email traffic by day of the week, email traffic by hour of the day, and a whole lot more. There’s no better tool for analyzing your email productivity – or that of your employees – since it enables managers to sync and track employee email accounts as well. More than 250,000 professionals use Right Inbox every day to increase their email productivity. This Chrome extension supercharges your Gmail usage with 4 powerful features, one of which is email scheduling, which is super helpful for startups that work in different time zones. Once you schedule the email, the tool will automatically send your emails at the appropriate time for the timezones you’re working with. You can also save yourself some time by utilizing the recurring email feature, which lets you program recurring notes. The Email Game literally turns your inbox into a game by challenging you to respond to emails within a certain amount of time. By forcing you to make quick decisions on your emails, whether it’s to reply to them or snooze them for another time, it gamifies the act of climbing inbox mountain; a welcome change from time to time. If you’re the type of person who best functions when working on clearly defined lists, TaskForce is worth a try. Operating fully within the Gmail interface, TaskForce allows you to quickly organize your emails by turning them into tasks, which you can then check off with an interactive list. If you hate the idea of sorting your emails into folders and labels, but want a more efficient way to keep tabs on your most important assignments, give it a try. Did you know that you can press the “C” key to compose a message within Gmail? There are actually dozens of different keyboard shortcuts available in Gmail that you probably aren’t aware of. KeyRocket is a simple extension that informs you of these shortcuts, whenever you take an action that could have been simplified with a shortcut. Over time, you’ll become familiar with them. It may not seem like much, but shaving even a few seconds off each email could add up to hours saved every week. ContactOut is a simple browser extension that helps you find email addresses and phone numbers of anyone on LinkedIn. We’ve been around for just over three years and already have thousands of users from a third of the Fortune 500. ContactOut finds emails from 75% of Linkedin users at a 97% accuracy rate. It’s earned us multiple mentions on the ahrefs blog as one of the best freemium email outreach tools available. A product by Streak, GmailSnooze is an interesting concept you might not have considered—a “snooze” button for individual emails. With the tool, you can hit the “snooze,” on a given email, removing it from your inbox temporarily so you can focus on other, more important matters. At a time interval of your choosing, the email will return, appearing as a new message, so you can deal with it then. Similar to GmailSnooze, Inbox Pause literally puts a “pause” button in your inbox, preventing any new emails from showing up until you “unpause” it. When you unpause it, all the paused emails immediately show up in your inbox. It’s great for when you need to work on a project without the constant temptation to check your inbox for new emails. How much time do you spend manually deleting emails from lists and senders you want nothing to do with? Probably more time than you’d like to admit—and you won’t take the time to unsubscribe. Fortunately, Unroll.me can help you take care of everything at once, unsubscribing from all your unwanted lists so you can keep your inbox clutter-free. Yesware is a popular tool for sales professionals who conduct outreach via email because it notifies you when a recipient opens your email, enabling you to follow up at just the right time. The tool also includes analytics for open rates and response rates, as well as a handy mail merge feature that enables bulk email sending from right within your Gmail account. IFTTT is a free service that allows you to connect with multiple other platforms (including Gmail) to set parameters for executing automatic functions under specific conditions. That sounds complicated, but it’s really simple; using IFTTT enables you to set automatic reminders, timers, and task lists in your Gmail account, and you can even set parameters for your other common apps to email you updates about your activity—such as automatically emailing yourself a shopping list after recording it with Alexa. Most of these tools will give you new information, or new functions you can use to make the most out of every email session—but you still have to apply them correctly if you want to see their benefits. Learn what you can, but try not to get distracted with insights that aren’t actionable, or new tools that cost more time than they save.